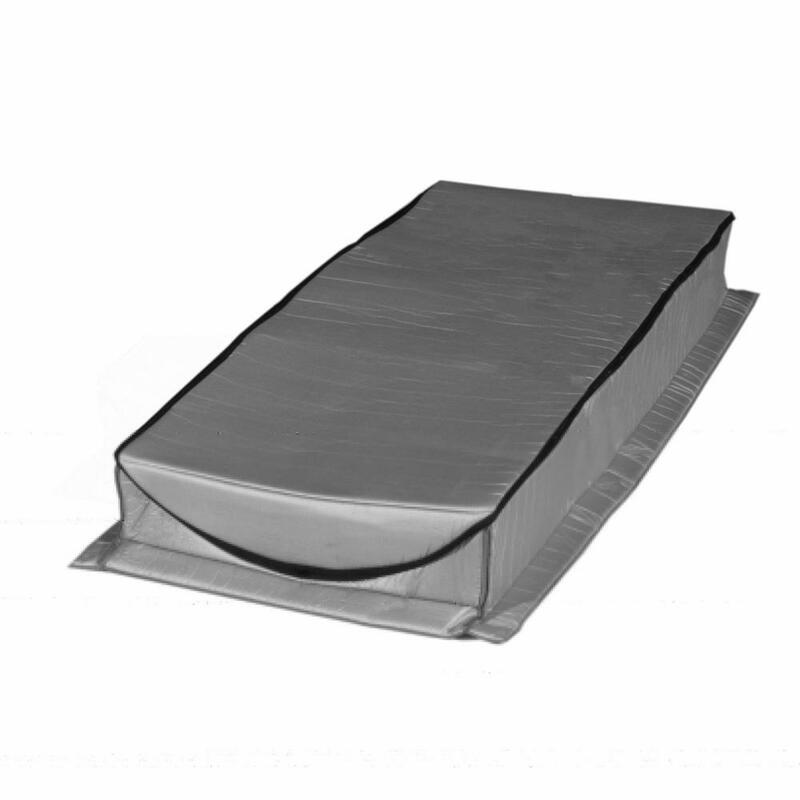 Attic Tent Inc., Insulation Cover, Nylon Fabric;Polyurethane Form, Gray, 2 in Mounting Flange Included, For Fold Down Attic Stair;Scuttle Hole and Knee Wall Door, 54 in L x 25 in W x 13 in T The Attic Tent is a specially engineered, patented insulator designed to create an air transfer barrier between your attic and living areas. Main Materials:Nylon Fabric and Polyurethane Form and is Flame Retardant. This is the second most standard commonly used size for fold down attic stairs. Used for fold down attic stairs, Scuttle Holes and Knee Wall Doors.